My hometown is very near a military base, so it makes sense that most of my friends growing up had parents in the military, particularly in the Marine Corps. I often heard jokes about one branch being stronger or more intense than all the others. And recruiters would often stop in at my high school, challenging students to do as many pushups or pull-ups as they could. Since I grew up knowing amazing members of the military who served my country each and every day, I quickly learned the difference between the US military branches, and that each is responsible for the defense of the country and of every freedom we enjoy here in the United States. Each branch has military bases across the globe that house troops and make them ready for anything at anytime. The Army is the oldest service, having been formally created in 1775 to protect the United States almost before it could really be called that. Back then the country was just thirteen colonies united by a need to be free. The Army serves to perform on-land operations to aid in combat and sustain stability. Although the Army has played a vital role in the War on Terror, it also helps to accomplish many feats beyond this, including defending our allies, promoting peace, and battling illegal drug trafficking. The Marine Corps is intended to be the first response team. These troops traverse land, sea, air, and pretty much any area of the world you can think of. This branch has led an amazing legacy and has built up a history of unique accomplishments. Did you know the Marines were the first to bring female troops into the Middle East? Way back in 1775, the Continental Congress realized how important it was for them to have a sea presence to fight the British forces, and so the beginnings of a Navy started to form. Even more extensive than the other branches is the Navy’s lingo that would set some people’s heads spinning. “Bulkhead, mess deck, rack, bird farm . . .” These terms have served the Navy well throughout many historic overseas battles, such as the Battle of Hampton Roads in 1862 and the Battle of the Atlantic from 1941 to 1945. The Navy also contains the well-known Navy Seals teams that are trained to handle every environment, not just the sea. The Air Force’s motto “the sky was never the limit” already tells a lot about this dedicated branch. It wasn’t long after the invention of the airplane in 1903 that the military started taking to the skies. However, the Air Force wasn’t founded as its own branch until 1947, making it the youngest branch in the military. The Air Force doesn’t just fight from the skies. It also provides extensive humanitarian aid to countries in need. These 30,000-foot airdrops provide food, water, medicine, and many other supplies. The Coast Guard defends the law at home and over the seas. It is dedicated to providing safety and security to our country as well as to the environment. The brave troops of the Coast Guard would risk their lives for anyone in peril at sea. You might not know that the Coast Guard is a part of the Department of Homeland Security rather than the Department of Defense like the other branches. Just to give you an idea of what they do, the Coast Guard performs over a hundred search-and-rescues and confiscates hundreds of pounds of illicit drugs in an average day. Pretty incredible, huh? Since their origination’s, these fortified US military branches have been dedicated to defend and aid our country and others in times of turmoil. 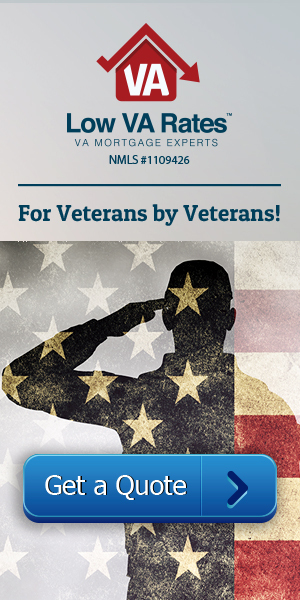 To learn more about military branches and what they do, visit our site at www.lowvarates.com.